Banana and chocolate is a sweet flavor combination that’s sure to please any sweet tooth. To me, cupcakes are all about FLAVOR ! Give me an ordinary looking but delicious cupcake over a cute bland cupcake any day. I know I talk about doctoring up cake mixes for cupcakes, and for most of the time, they really are very good……but still nothing beats the texture and flavor of home made cake batter, except when it’s topped with a frosting that’s so good it makes your head spin! 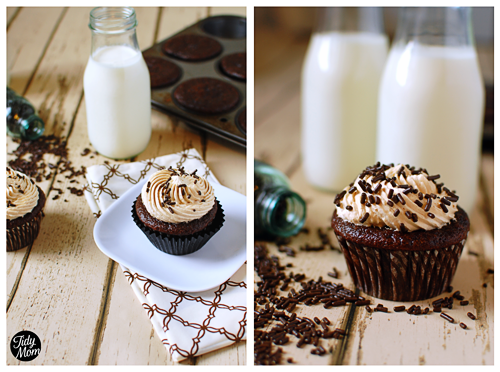 I have been thinking hard about a cupcake that would have a flavor combo that would knock our socks off……I know how much my family loves my banana bread with chocolate chips…..so banana chocolate cupcakes it would be! 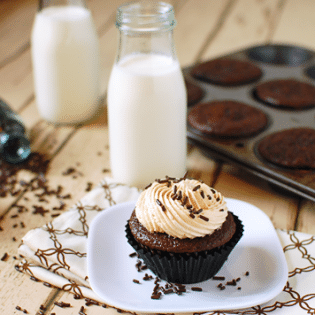 Ripe mashed bananas mixed with cocoa powder make a moist delicious cupcake, only made better by topping with peanut butter brown sugar buttercream. A sweet flavor combination that's sure to please any sweet tooth. In another large bowl, whisk remaining ingredients until combined: egg, banana, water, milk, oil, vanilla. Combine wet and dry ingredients and stir until combined. Scoop batter into cupcake liners 3/4 full. Remove from oven. Cool completely before frosting. In a heat proof bowl, whisk together egg whites, sugar and salt. Place over (not in) a pan of simmering water. Cook, whisking continuously until sugar is dissolved and warm to the touch. Pour mixture into bowl of electric mixer. Beat on medium speed until fluffy, approximately 15 minutes. Reduce speed to medium-low and add peanut butter a little at a time, then butter, 1 tablespoon as a time until fully mixed. I made these today because I had some very ripe bananas and they turned out really YUMMY! So moist and soft, and full of banana flavor! I made the frosting after and frosted half of the batch and left the rest without frosting. I like them both ways!!!! Thank you so much for sharing such a wonderful recipe!!! Hi! I found you through “Get your craft on” and my, those look delicious! I will definitely need to try those, and of course I’ll be following your blog for more delicious updates! Oh my… My mouth is watering! Great photos too! Well, don’t these look spectacular? They remind me of chocolate fondue with bananas. HOLY BUCKETS!! It was my dad’s bday this past week. He is a HUGE fan of anything with a chocolate and peanut butter combination. And incidentally, his nickname since childhood has been Buster so I knew if was fate, haha! Anyhoos, I made these for him and the whole family scarfed them up instantly! This is definitely going in my sugary treats arsenal, thank you!!! Oh my! 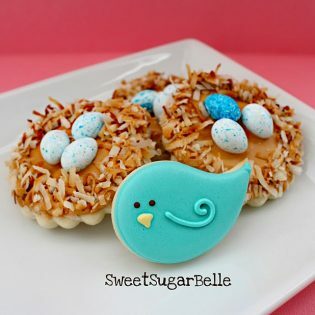 These look incredible… love the ingredients!! yum yum.. will buzz my wife… have to try this one. I love the recipe! it looks so delicious. Where did you get the cute milk glasses from? These look divine! 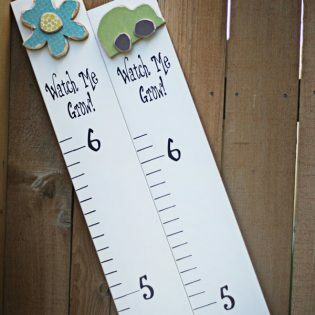 I’m pinning these so I can make them the next time I’m in the mood to bake. This is such a great recipe! We would love to have you come share your ideas at our weekly link party every Saturday! -The Sisters. Pingback: my (frugal) valentines day party | Life Half Crunched : A busy moms recipe for wellness - on a budget! Oh my – these look incredibly decadent. And I’m sure the peanut butter frosting goes so well with these! After all, bananas and peanut butter are a match made in heaven. Well done! I’m sure these are to die for as stated in the recipe. However, if one were to consider the lazy… I mean “quick” method of using a cake mix instead of homemade cupcake batter, could bananas just be added to a boxed mix or would this alter the results too much? Thanks! These look amazing! 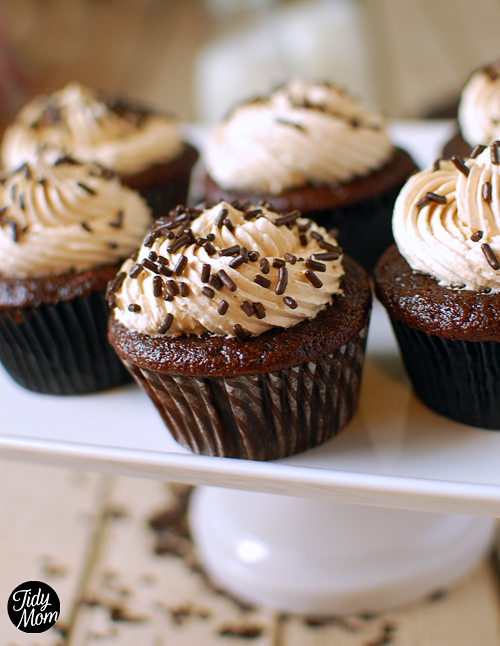 Ive tried making these, the frosting has come out runny, ive done the steps to exact.. I dont understand what im doing wrong? My guess would be that you’re not mixing to stiff peaks. Make sure the egg whites can stand up stiff on their own, then you know you have stiff peaks. Hello! I seem to have the same problem too, but mine was stiff already when i added the peanut butter. any advice? perhaps my stiff peaks aren’t stiff enough? Would love to hear back from you, thanks! Made these for a dinner party tonight. My friends said these were the best cupcakes they ever had. Success! Hi Cheryl, the pics look yummy. I am eager to try this recipe. Could you please confirm if it is granulated sugar or icing sugar you used for the cupcakes? Many thanks in advance. I did these cupcakes today and it turned out the cupcakes itself without the frosting are a big FAIL. So I checked the recipe again and again and then it turned out that you’ve mistaken the converting of cup to ml in water and milk. It should be 120ml of water and 60ml of milk instead of what you stated above. I am so disappointed with the result of my cupcakes and I hope you’ll change it as soon as possible to avoid others from repeating my mistake. Thank you.